Not the good 70’s funk, but the funk that comes from lots of sweat + no airflow. I found a new use for the ski boot dryer I’ve been using to keep my bike riding gear funky-free. 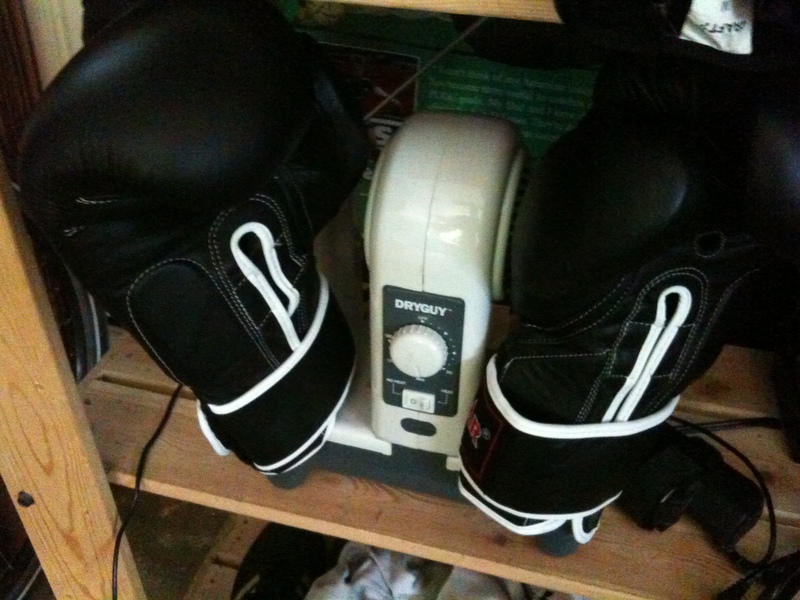 It also makes a great way to dry your boxing gloves, which would never see good airflow otherwise. Recommended.